As the Name suggests, JustPressed Charge is a super exotic drink which charges your body with essential minerals and vitamins and keep infections at bay! Immerse yourself in all the goodness of Holy Basil (Tulsi), with a splash of fresh Ginger, a swirl of Raw Turmeric along with Pineapple, Apple, Lemon and Chia Seed. Loaded with antioxidants, this super juice will rid your body of toxins, while fighting stress at the same time! Get younger with a boost to your kidneys, heart, digestion, skin and eyes. 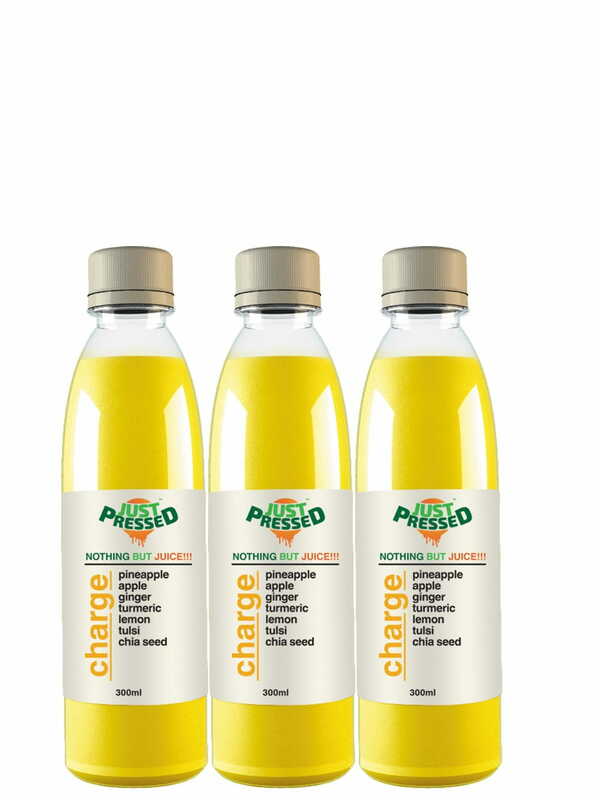 Buy this amazing drink online at FoodFeasta.com and relax, while we take over from there! We, at www.foodfeasta.com deliver the goods directly to your doorstep, to give you the best service and customer satisfaction.